The change is very subtle and I was so used to the previous way of closing Apps that it took me some time to realize how to do it on iOS 7. 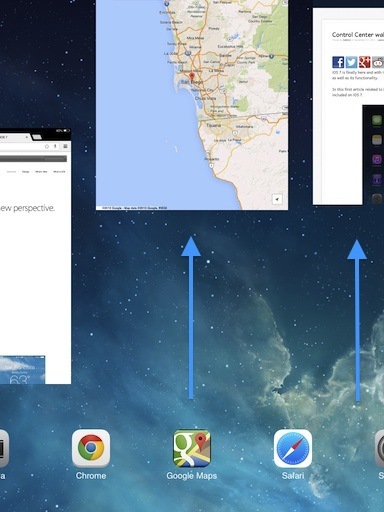 On this article I will show you how to switch between currently running Apps and how to close iPad Apps on iOS 7.
iPad lets you open multiple Apps. To see which Apps are currently running you can double click on the Home button. or swipe up with four fingers. 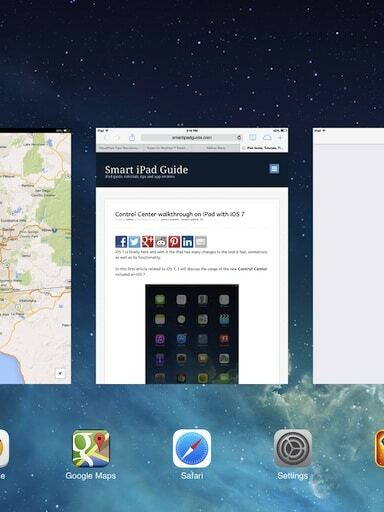 To see an example of 4 finger swiping, have a look at iPad Gestures Multitasking. To switch between one App and another, double click the home button or swipe up with 4 fingers and tap on the App that you want to switch to. 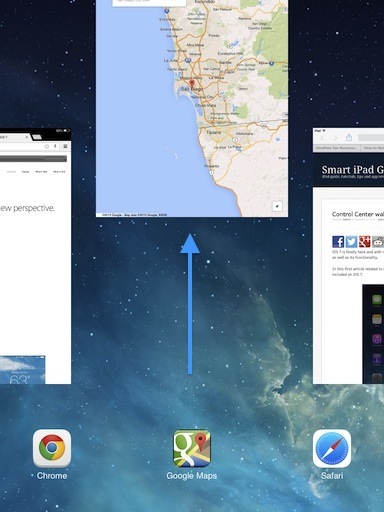 Once you are displaying the currently running Apps, tap on the App that you want to close and swipe it up. Following the same procedure you can close 2 Apps. Just tap and swipe up with two fingers on the Apps that you want to close. 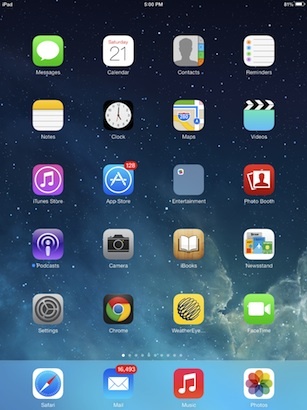 Have you upgraded your iPad to iOS 7? What do you think about it? Let me know by posting a comment below.